My theory (as it relates to men’s clothing) is that a style of clothing—or a specific item of clothing—only becomes a classic if the elements of design are pleasing to the eye and, functionally, the garment works. This is true of shirts made from madras AND specifically “Bleeding Madras”. I am talking about the madras that all the “cool” guys were wearing back in the 1960’s. Hand loomed in India, they were dyed in such a way that the colors blended together and didn’t fade away, creating a unique and beautiful patina, like an old favorite wallet or a brass bell. The demise of bleeding madras occurred only because the dyes were deemed environmentally unsafe. Authentic bleeding madras has not been available for more than forty-five years. 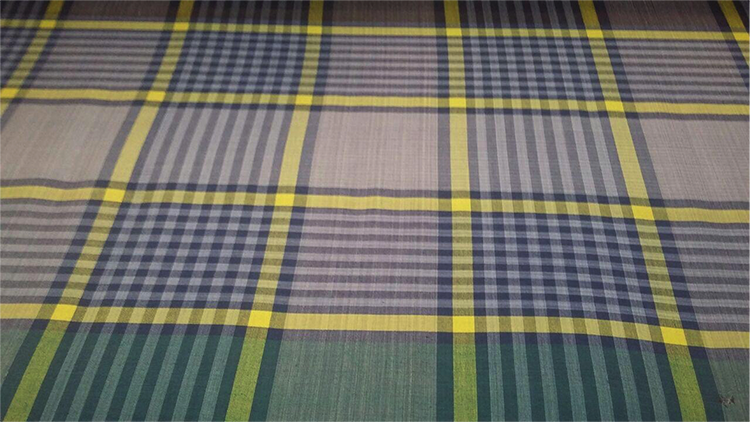 Three months ago we got a call from a gentlemen named Aleck who remembered bleeding madras, loved it, and had taken on the challenge of duplicating a madras fabric that was environmentally safe and possessed the same character as the original. Environmentally safe dyes were already available. All that was missing was the dyers and weavers who remembered the process. It was a long search, but ultimately he found a village in India with one elder who did. This is where we come in. Having discovered a means to source the fabric, our friend had no idea how to turn the fabric into a shirt. He knew the original Madras shirts were made by Gant in New Haven, so made in New England was another requirement. Fond of Portland, Aleck contacted us. We—as you can probably tell—were excited as he was and off the order went to our friend Bob at New England Shirt in Fall River, MA. We received the initial shipment of yardage in July. By August we were offering the first bleeding madras shirt for sale in over four decades. I am old enough to remember the character and comfort of this shirt (a silky hand), and I felt we had the “Real McCoy”. We sold them out in four days. The three patterns below are in production in India. The handlooms can only produce 4-6 yards a day. It is a slow process, but we should have the new fabric by mid-October. We are taking pre-orders for an anticipated delivery of mid-November. The cut will be slightly trimmer than the original but with the same “Ivy” detail of the original: button-down, with a third button on the back of the collar, locker loop, and a full box pleat in the back. $175 in sizes Small-2X.